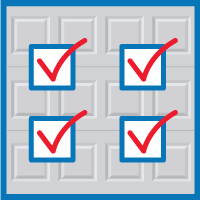 In part one of our garage building checklist, we covered the first steps in your garage building or remodel process. Today, we look to brief you on the consultation process and preparations that must be made before the garage building process starts. So, now you’ve made your short list of garage builders, and requested your free consultation. What happens next? You set a time to discuss your needs, get some measurements, and receive a quote. You’ve recognized your needs, as recommended in part one, so you will be able to communicate them with the person (or people) that show up at your door. Will you as a homeowner need financing? Does the builder offer financing? Will the builder use subcontractors? How will they be supervised? Will homeowners or builders be paying subcontractors? What is the timeline and what guarantees are in place to ensure the timeline is kept? Can the builder itemize everything on the quote? Who are the builder’s suppliers? We have a few more considerations in our FAQ section. Another good resource for preparing and speaking with any contractor is the Federal Trade Commission website. Everything requires a permit. If your garage builder takes care of all the paperwork, you’re in the clear. Just make sure that all the paperwork to demolish and build is taken care of and actively posted. At Blue Sky Builders, we do all of the permit work for you, and have experience working with cities and counties to get permits approved. In part three of the garage building checklist, we will cover the building process, the absolutely necessary clean-up process, and additional steps you may not have considered. We welcome you to check out our gallery and to contact us for a free estimate.